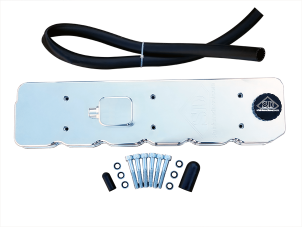 Compound Turbo Dual Seal Connector Kits can be used with compound turbocharged setups. 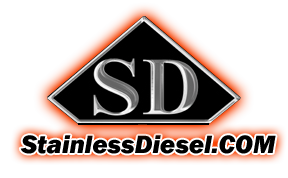 Developed in conjunction with the performance diesel specialists here at Stainless Diesel, this Compound Turbo Dual Seal Connector Kits feature a 304 stainless steel inlet flange to fit a 3.50” stainless steel tube. The outlet flange is 6061 aluminum with a 5.50” diameter which is designed to be welded to the air inlet of the high-pressure turbo. The Compound Turbo Dual Seal Connector Kits combine the best features of standard silicone hoses and V-bands to deliver a flexible connection that can withstand extreme boost pressure, thanks to the innovative dual seal design. Each weld flange has an O-ring on the outside that seals against the inside of an aluminum sleeve, and all three parts are held in place by the black-anodized locking clamp. 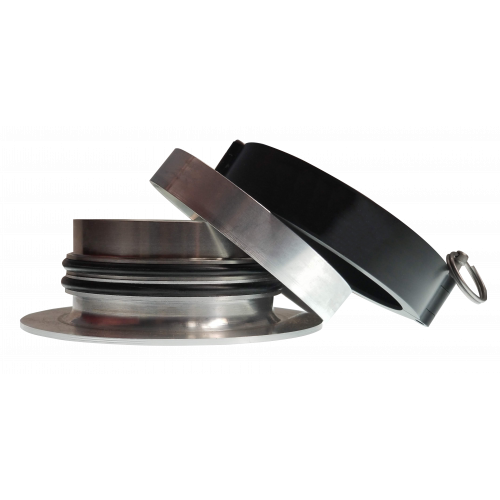 Additionally, the center sleeve allows each flange to move independently while maintaining a tight seal that gets even better when the flanges expand under high pressure. *In addition to the advantages of a high-pressure seal, a flexible connection comes with its own benefits. 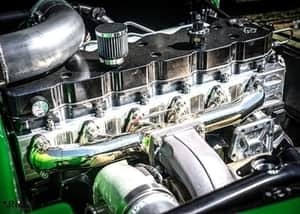 Connectors that have a bit of deflection are much easier to work with when plumbing the boost side of a race vehicle and having some give in the charge air system will also prevent binding during chassis flex, which can destroy that expensive forced induction showpiece. Designed for use on compound turbo systems. 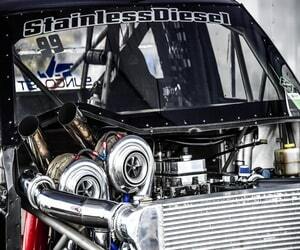 Allows you to run stainless steel tubing to the secondary turbo inlet without the need for couplers and clamps that can blow off at extreme pressures. 66mm new take off cover and cast wheel 3rd gen 3in forward facing house outlet..